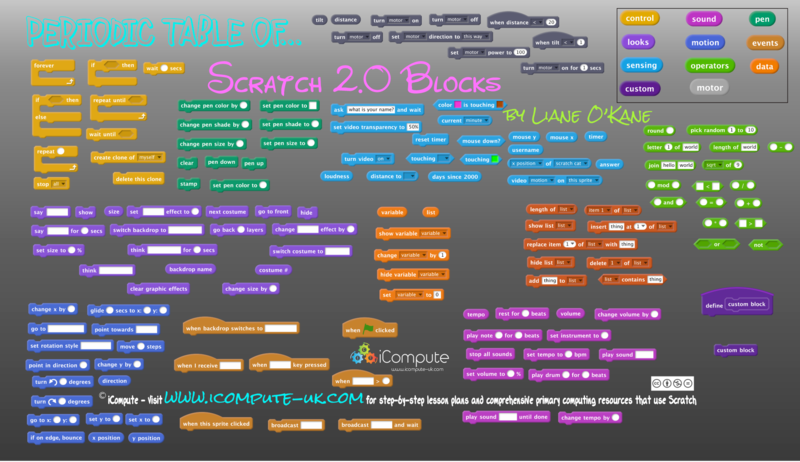 I’ve created an updated version of a full set of Scratch blocks (Scratch 2.0) which now includes the blocks inside the Sensing, Operator, Data, Custom palettes and LEGO™ WeDo motor blocks. 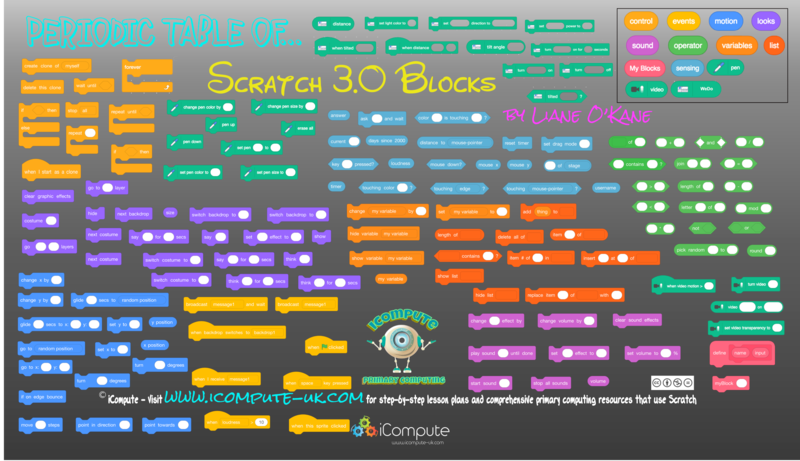 Available to download by clicking/tapping the Periodic Table of Scratch blocks image (see below). The blocks can be edited and scaled using image editing tools (e.g. Illustrator, Inkscape, Vectr). The blocks are also provided in .png format. 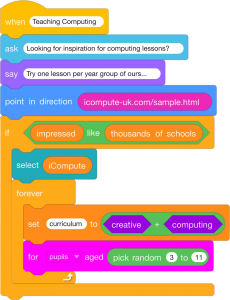 It’s important that children be given opportunities to interact with physical programming blocks to help them understand both their function and the underlying concepts. 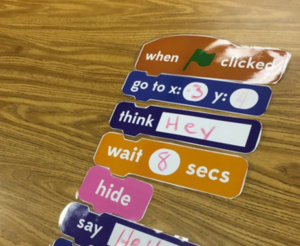 I use them in groups for the children to program me and/or each other as well as programming using Scratch itself. 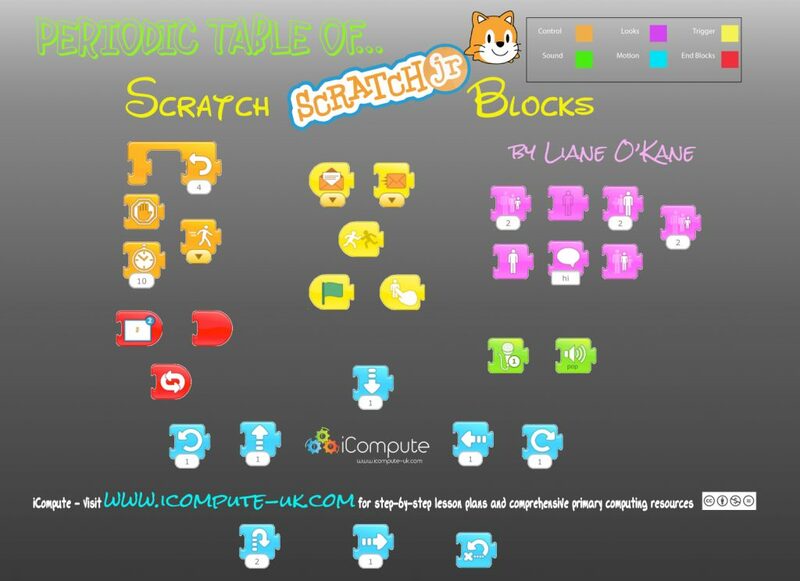 Also available in the same format are Scratch Jr blocks from this post.